Lock in a great price for Hotel Cenit & Apts. Sol y Viento - rated 8.2 by recent guests. The room exceeded our expectations regarding space, beds size and views. The breakfast was really good besides the day we had leave because it was out of the breakfast time and we were able to just have coffee and juice. 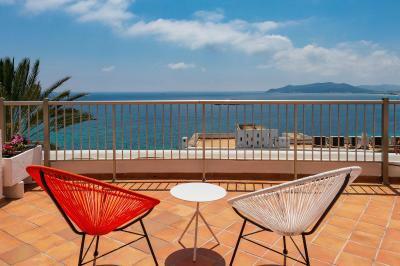 A standard modern hotel situated in a beautiful location. Everything was good. Room was clean with comfort bed. Fabulous breakfast. Very comfy beds. 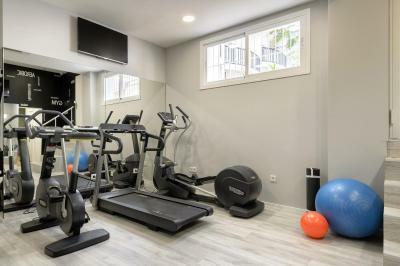 Great location between city and sea. Wonderful staff in the dining room. Very helpful reception team. Great cleaning staff. Gym is decent. Pool area very chilled and typically laid back vibe. 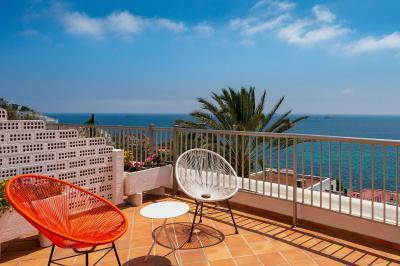 We loved the spacious room and balcony with amazing views of Figurette beach and the sea. Breakfast was fine, and ok the room price. The pool area and poolside restaurant however were both fantastic, really comfortable sun loungers and enough for everyone, amazing drinks and restaurant quality food we even ate in one night which we never do at a hotel ! 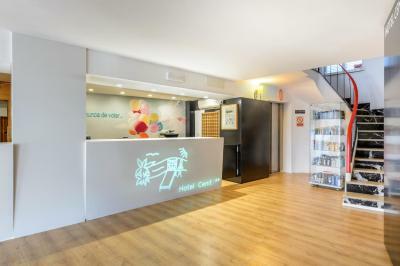 The hotel staff was really friendly, also the location was a 15min walk from the center which was great. Room had a nice sea view. 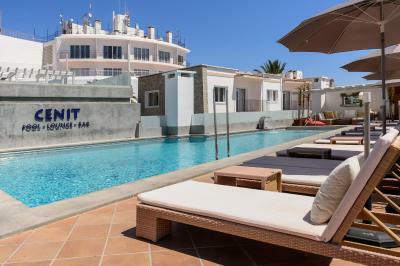 One of our top picks in Ibiza Town.Hotel Cenit is a gay-friendly property located 450 yards from Figueretas Beach in Ibiza Town. 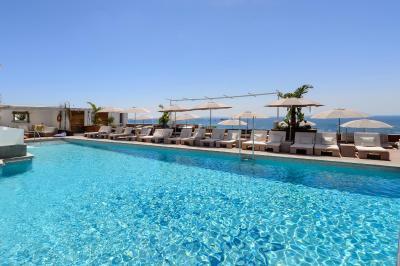 It offers an outdoor pool, free Wi-Fi in public areas and Mediterranean-style accommodation with a private balcony. 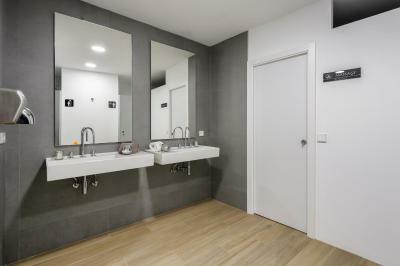 The air-conditioned rooms at the Cenit feature tiled floors and white and blue décor. 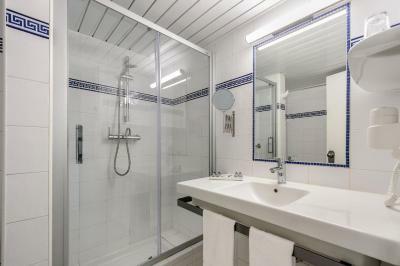 There are also studios and apartments which come with a kitchenette. WiFi is available in rooms and apartments for an extra cost. 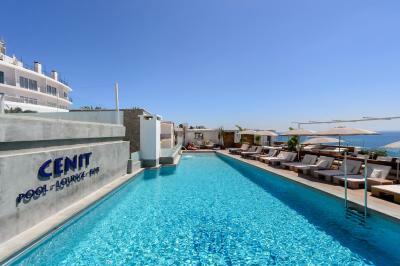 Cenit Hotel has a buffet restaurant and there is also a poolside snack bar and a lobby bar. In the lounge there is a TV and board games. 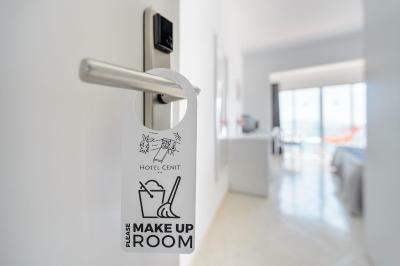 Staff at the hotel’s 24-hour front desk can help you book tickets to Ibiza’s main nightclubs, as well as other excursions. You can also hire a car or scooter from reception. You can walk to Pacha Nightclub in 20 minutes from the Cenit. 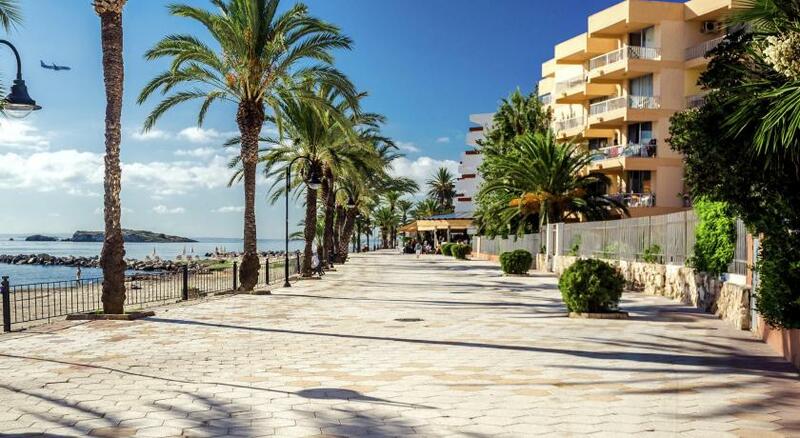 Ibiza-San José Airport is just 12 minutes’ drive away. 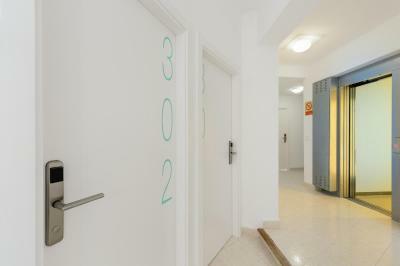 Hotel Cenit & Apts. 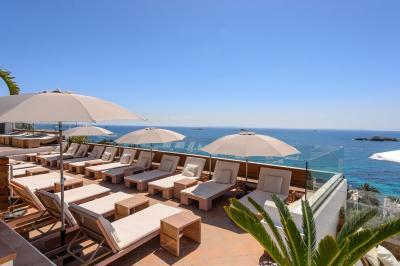 Sol y Viento has been welcoming Booking.com guests since 2 Feb 2011. 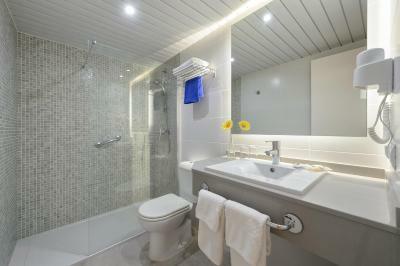 When would you like to stay at Hotel Cenit & Apts. Sol y Viento? 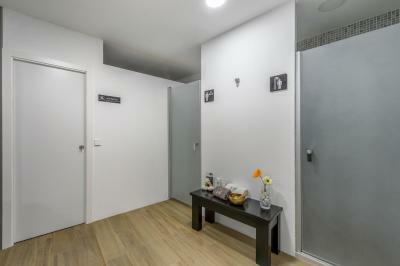 This air-conditioned room features a private balcony, a TV, fridge and a private bathroom. WiFi is available for an extra cost. This studio includes a kitchen with a dining area and a fridge and a private balcony. WiFi is available for an extra cost. Please note that the maximum capacity of this studio is 3 people. 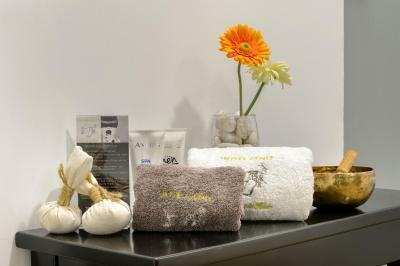 Discover our gay-friendly family hotel in Ibiza, with history, personality and in a quiet location offering special features. 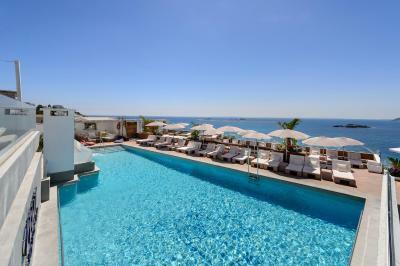 There are 63 rooms and 55 apartments, most with breathtaking sea views. 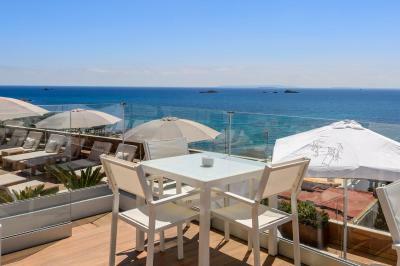 Only 400 metres from Figueretas beach, the hotel also offers private pay parking. House rules Hotel Cenit & Apts. Sol y Viento takes special requests - add in the next step! Hotel Cenit &amp; Apts. Sol y Viento accepts these cards and reserves the right to temporarily hold an amount prior to arrival. 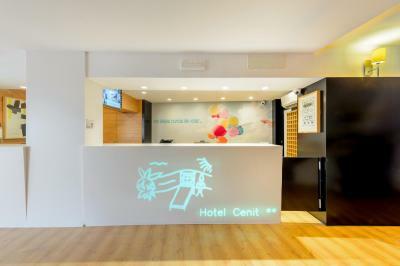 Hotel Cenit & Apts. Sol y Viento accepts these cards and reserves the right to temporarily hold an amount prior to arrival. Please note that the apartment building is on the other side of the road, just in front of the hotel. Reception is in the hotel. I definitely got the worse apartment in the whole hotel ( nr. 51), directly at the road and the terrace was so closed to the pedestrian way and practically easy reachable from there, if .... As result I did not sleep well, because I wanted to sleep with open window. I arrived late and was very surprised at hat they gave me this room, specially because I was alone and had asked for a room which was on a high level. The receptionist really did not make a good judgement call! 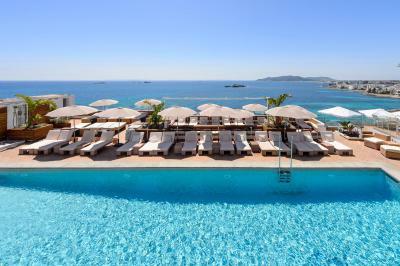 Nice pool, nice pool restaurant with beautiful view over the bay, really good salads! Everything was superb. The service was amazing and the staff extremely courteous and always willing to help. The breakfast was abundant and delicious as well as the food in restaurant was very delicious. 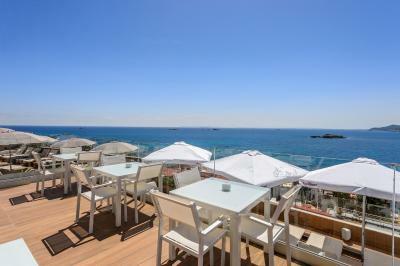 The hotel is situated on the top so it has an amazing panoramic view of the mountains and the coast. 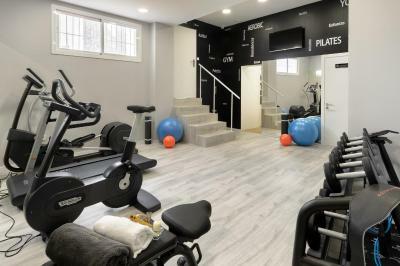 As long as you like steps you can get to the city center and the beach within 15 min walking. 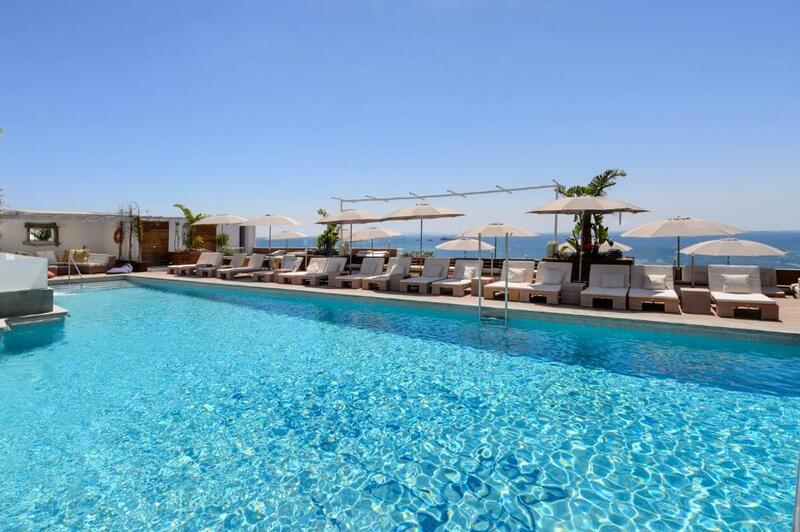 The hotel has a bar and pool and pretty much all the basic amenities you may require. It is truly a wonderful place and I am looking forward to visiting again. Excellent in every way, cant wait to go back. Everything was excellent ! 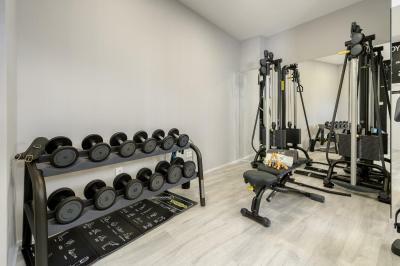 The room, the breakfast , the staff , the swimming pool and also the gym! And location !!! Erm.....can't think of anything I didn't like. The pool and the restaurant food by the pool. The hotel itself was a little more basic than we were expecting, but it was a decent base for our holiday. The beds felt a little cheap, and the shower didn’t always have instant hot water. One morning I had to essentially have a cold shower. The receptionist was a little frosty when we checked in - maybe she was having a bad morning ;) But the one when we checked out was nice. 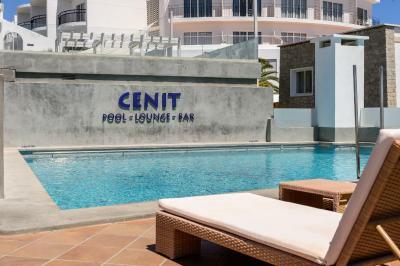 We booked based on the Cenit pool, which we’d visited before. 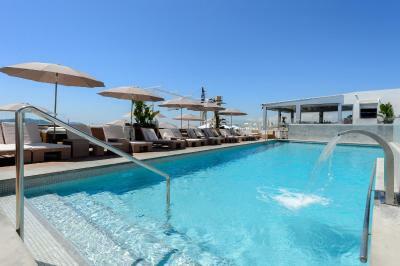 The pool is wonderful - amazing food, gorgeous drinks, perfect view and a great atmosphere. The pool staff are above and beyond - always smiling and always attentive. Love it! There wasn’t anything we didn’t like really. However the reception staff could have been a bit more welcoming and informative. We had no explanations on arrival and asked re breakfast were only told the times. By mistake we went to the pool restaurant and said it was our first day, asked what we could have (in hindsight it is obvious this wasn’t the hotel breakfast area), but as we hadn’t seen one in the hotel, and weren’t told it was there, trying to relax on holiday we ate there, sat by the pool and were then given the bill with our evening drinks ! It was funny at the time but others might not think so.